Hahn & Clay has been fabricating pressure vessels since 1908. We maintain "U", "U2", "S" and "R" Stamps. We fabricate pressure vessels in a wide range of metallurgy including Carbon Steel, Chrome Moly, Hastelloy, Nickel, Stainless Steel, Inconel, Monel and Special Alloys. 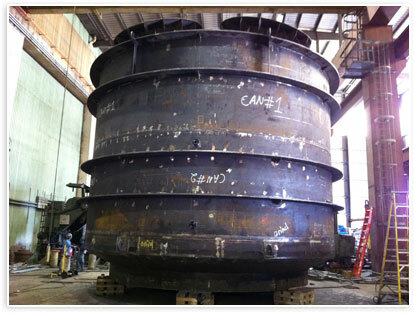 We also perform pressure vessel repair in our shop or in the field. © Copyright Hahn & Clay. All rights reserved.